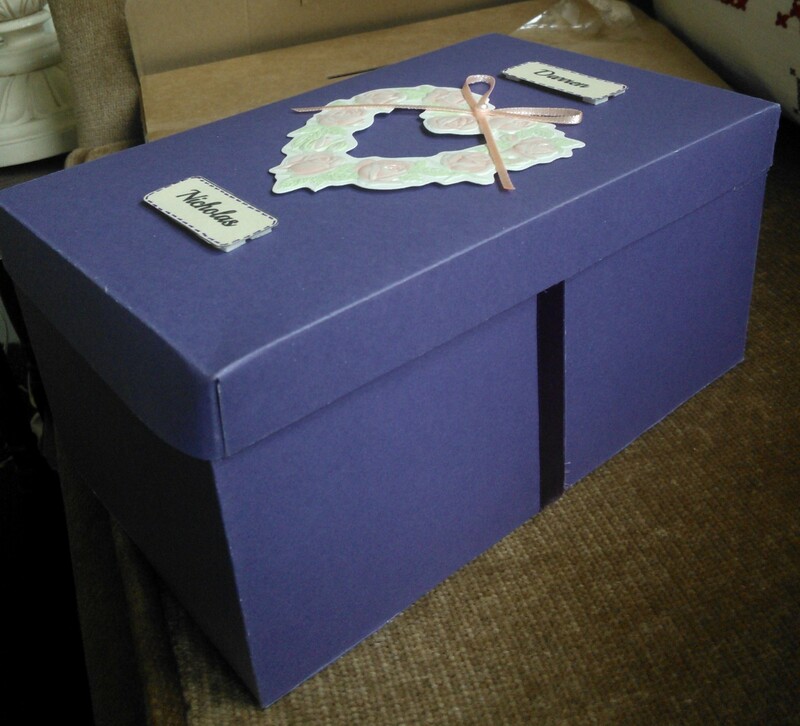 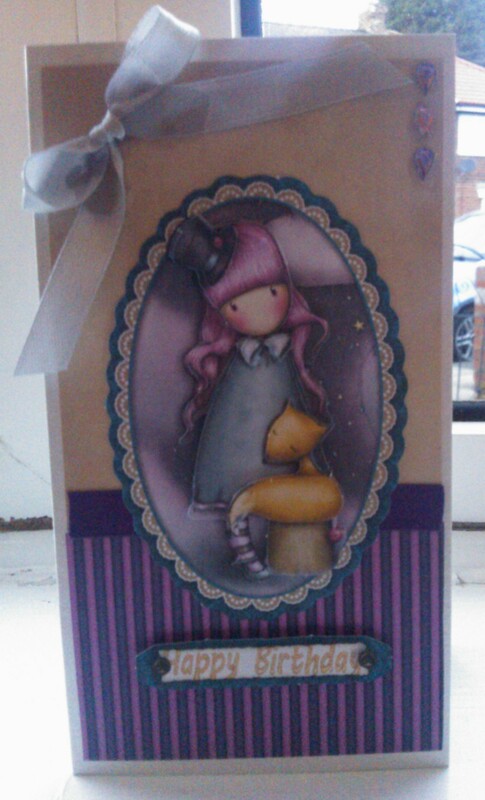 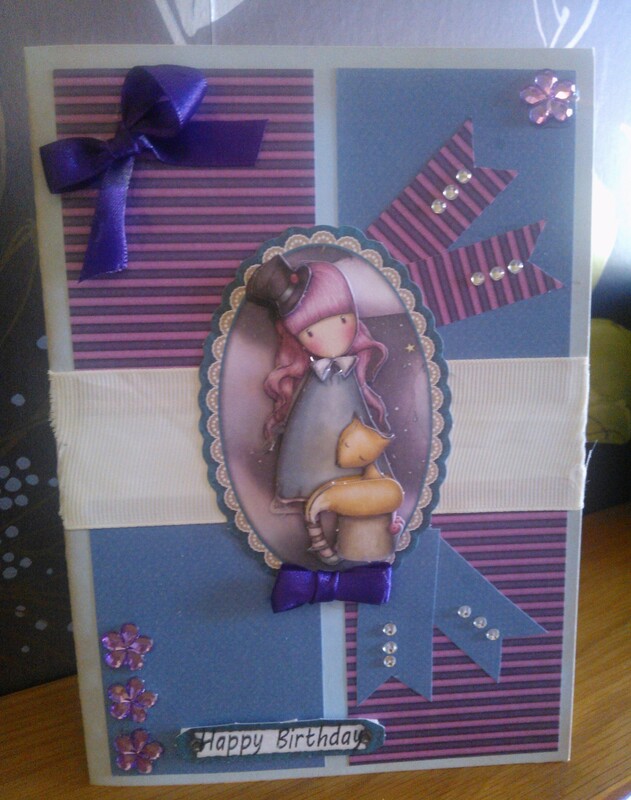 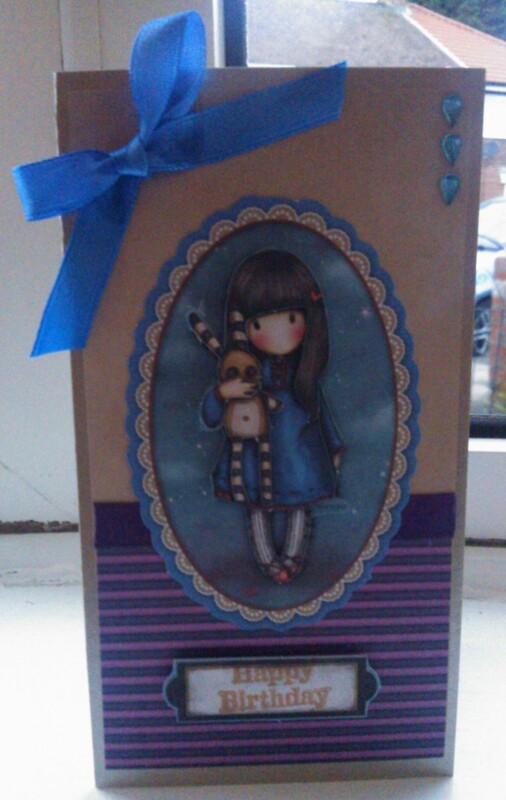 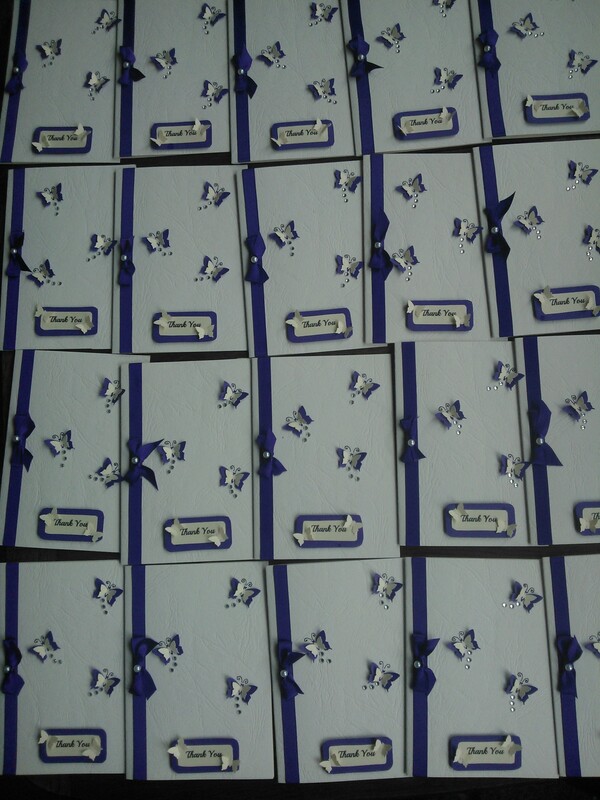 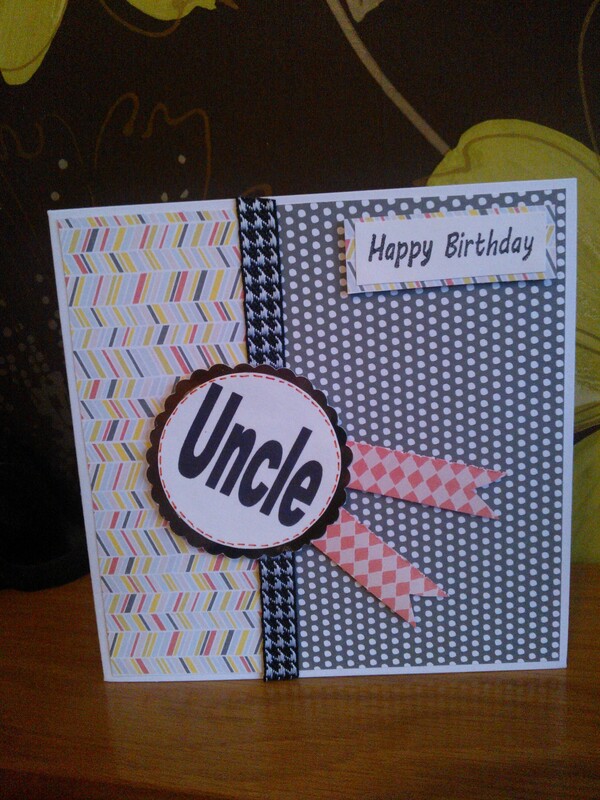 I thought I’d share with you a few more of my recent card makes that I made for a friend’s daughters birthday. 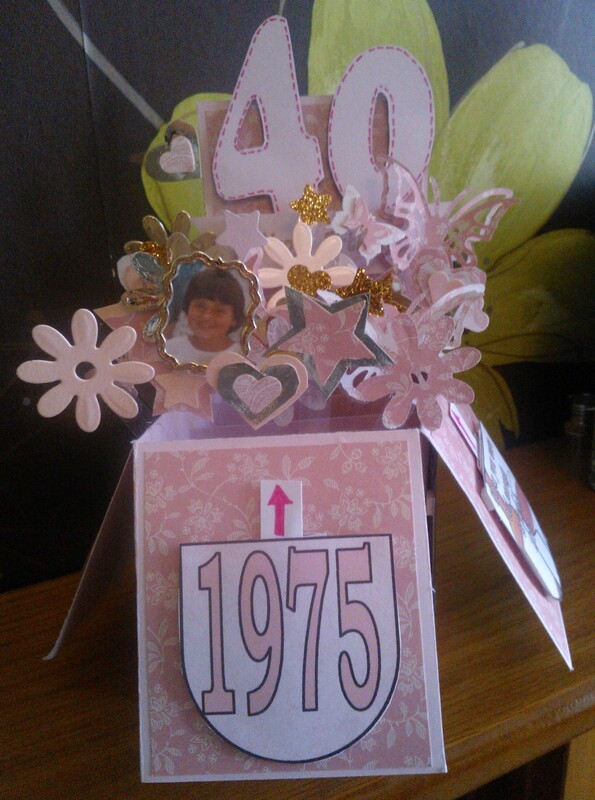 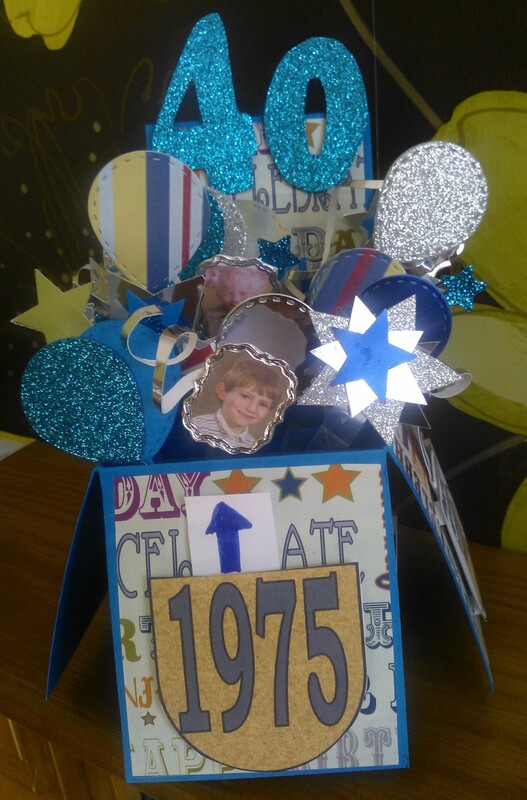 Firstly I made a mobile phone card from her niece. 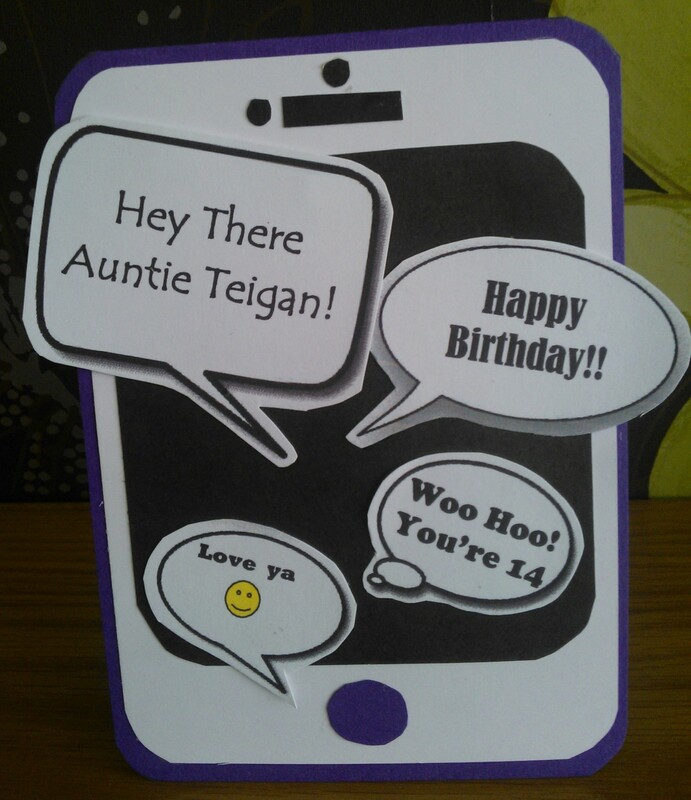 She loves her technology and I spied a similar one on Pinterest. 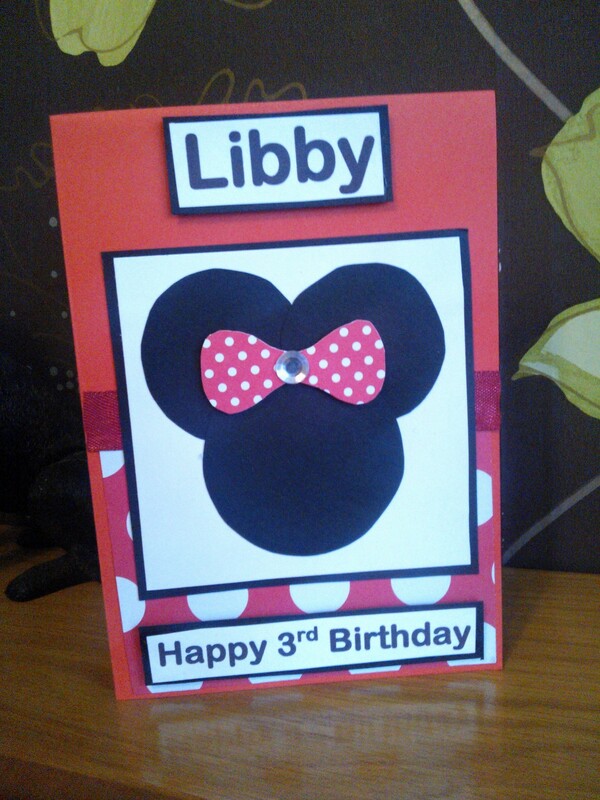 A really quick and easy make which can be totally personalised in favourite colours, name, age and whatever messages suit. 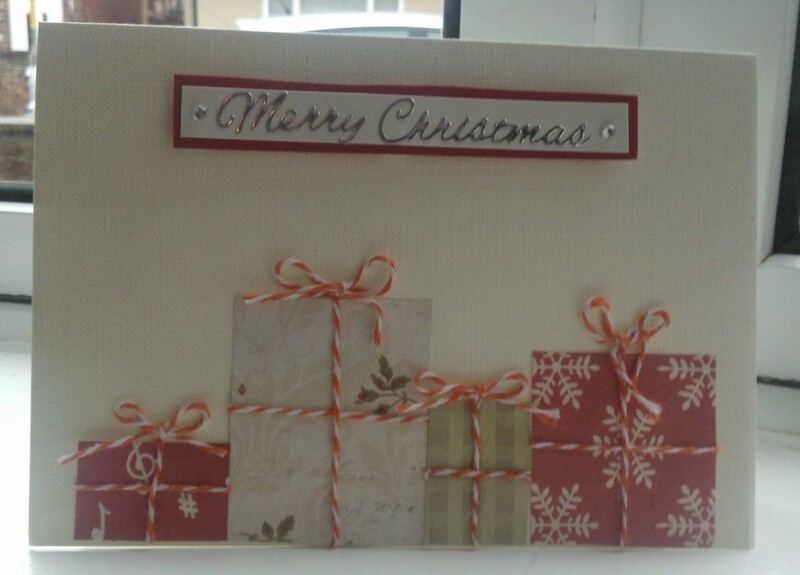 Loved the end result. 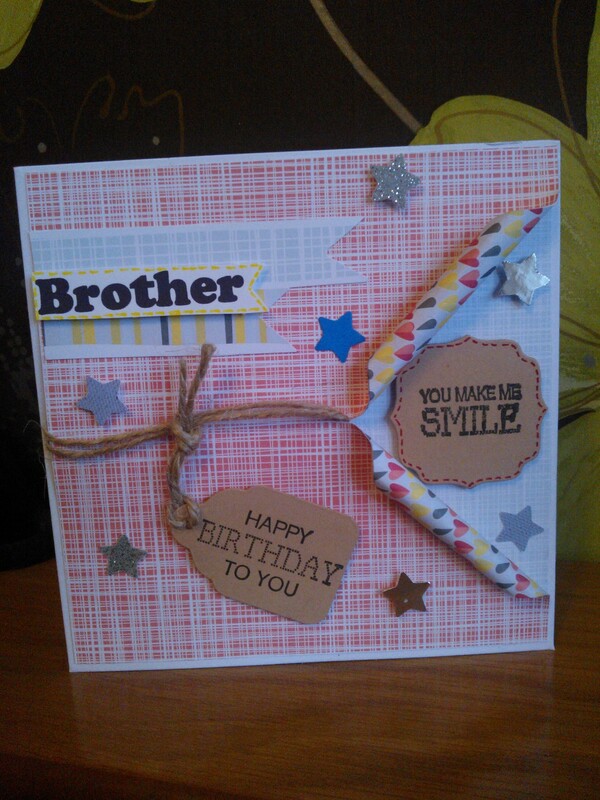 Also on the order list was a sister card. 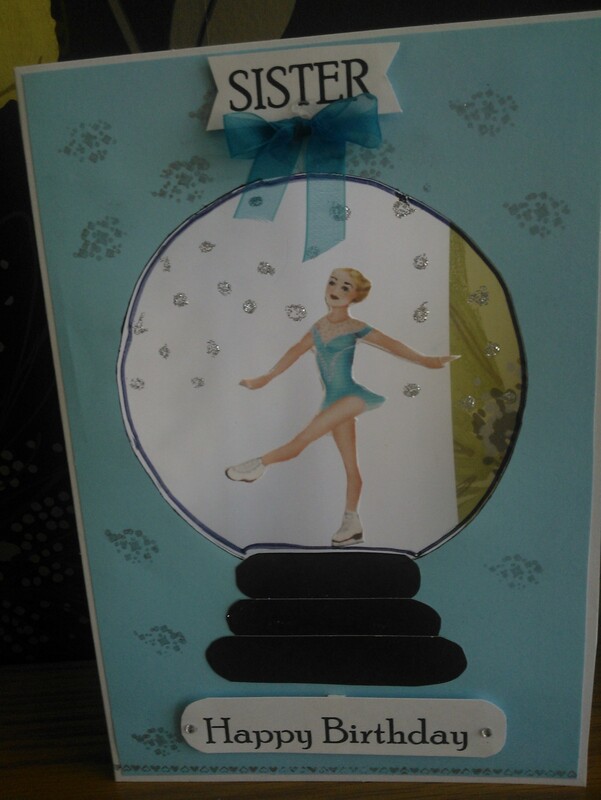 As the young lady in question likes ice skating I liked this idea of using a snow globe shape. 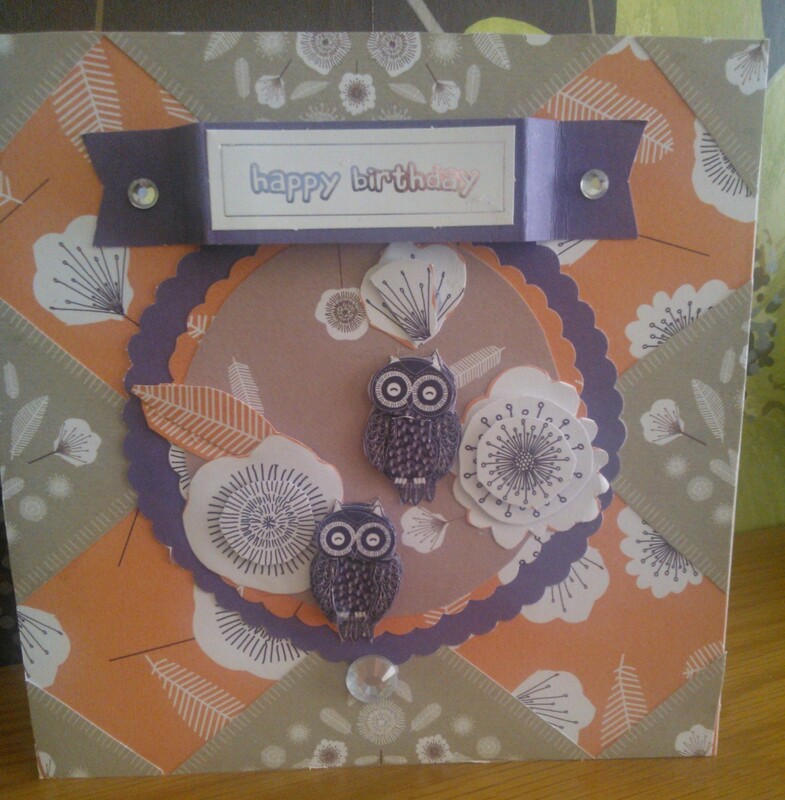 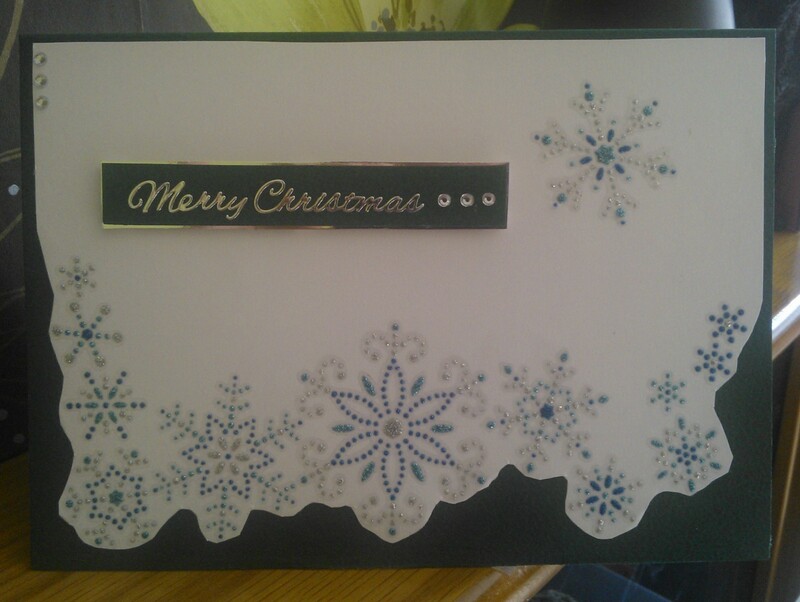 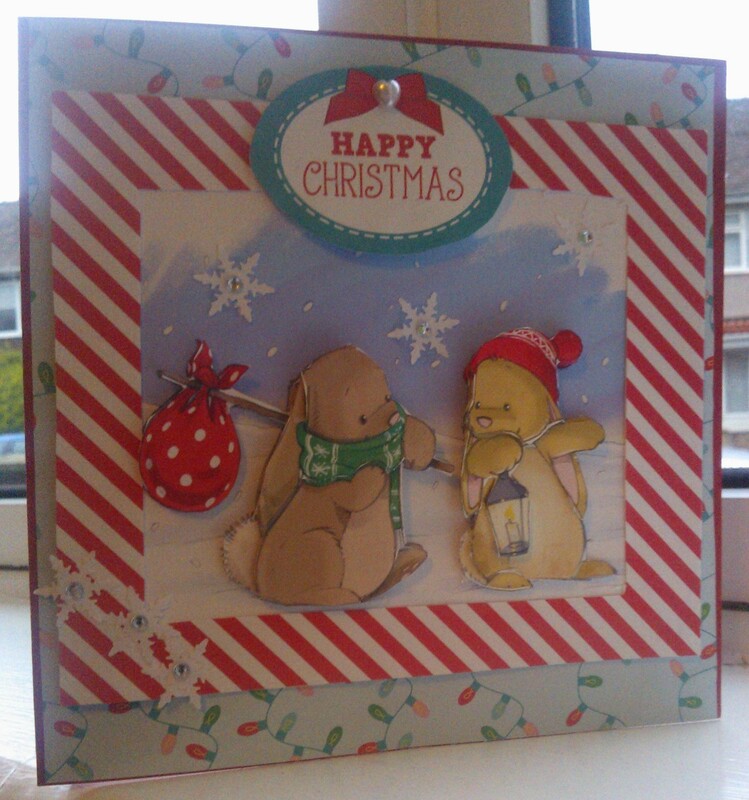 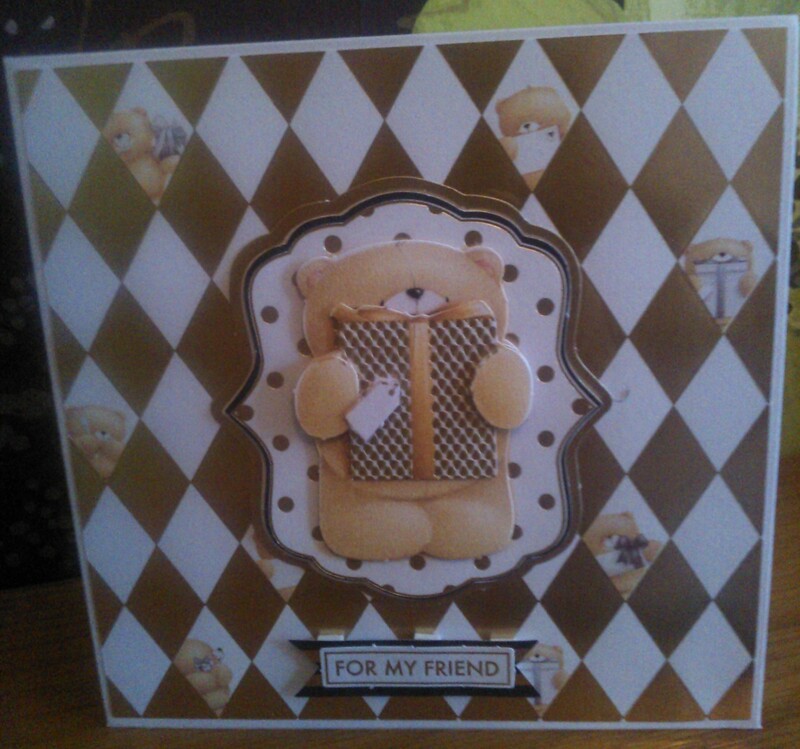 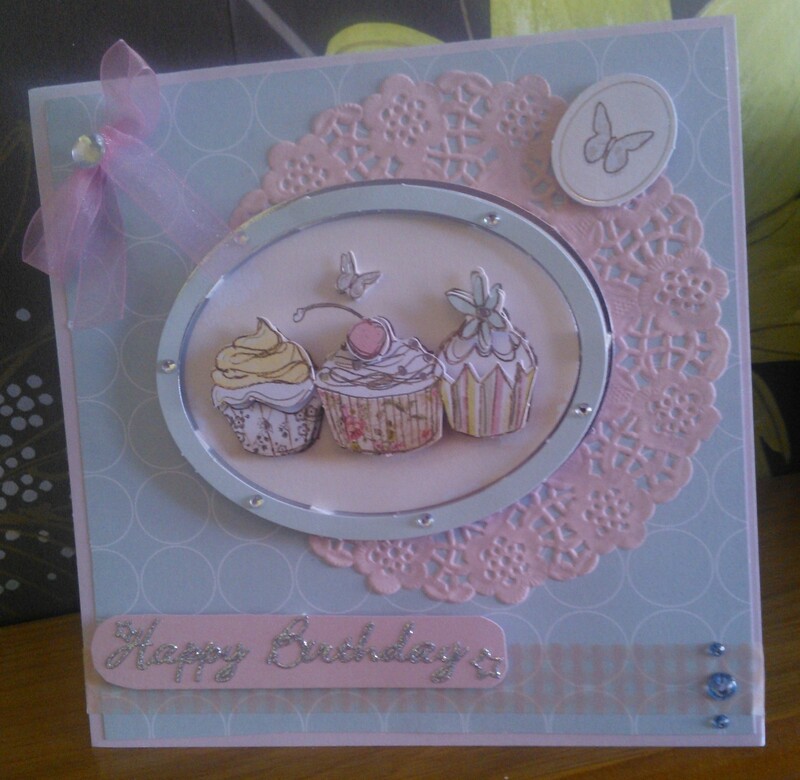 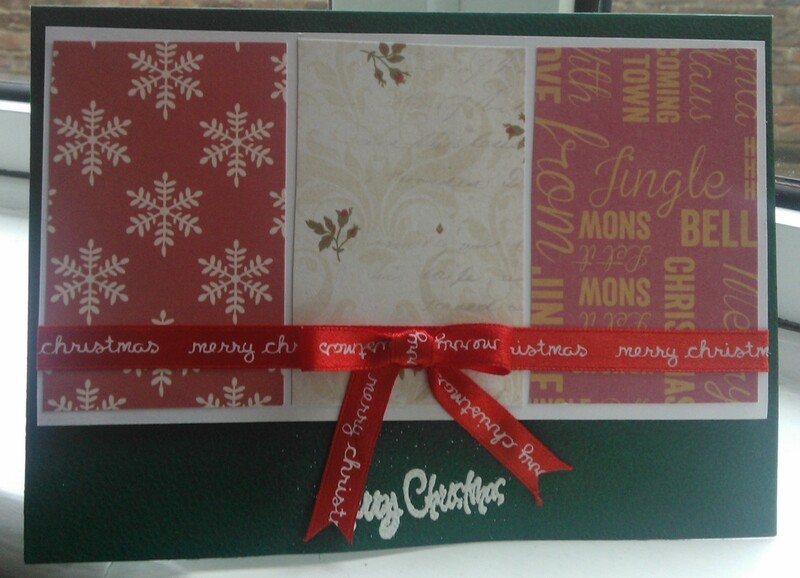 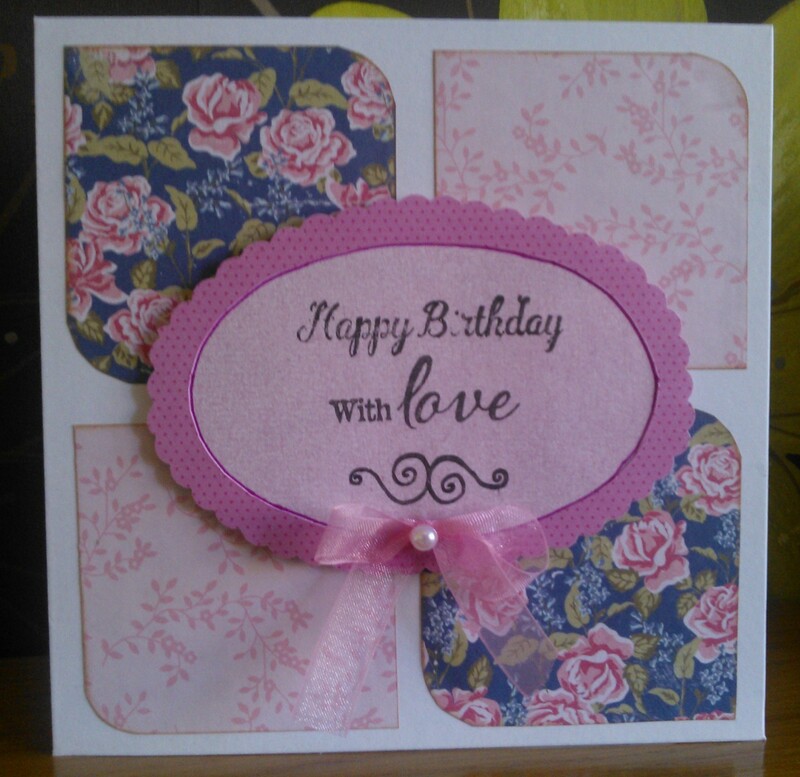 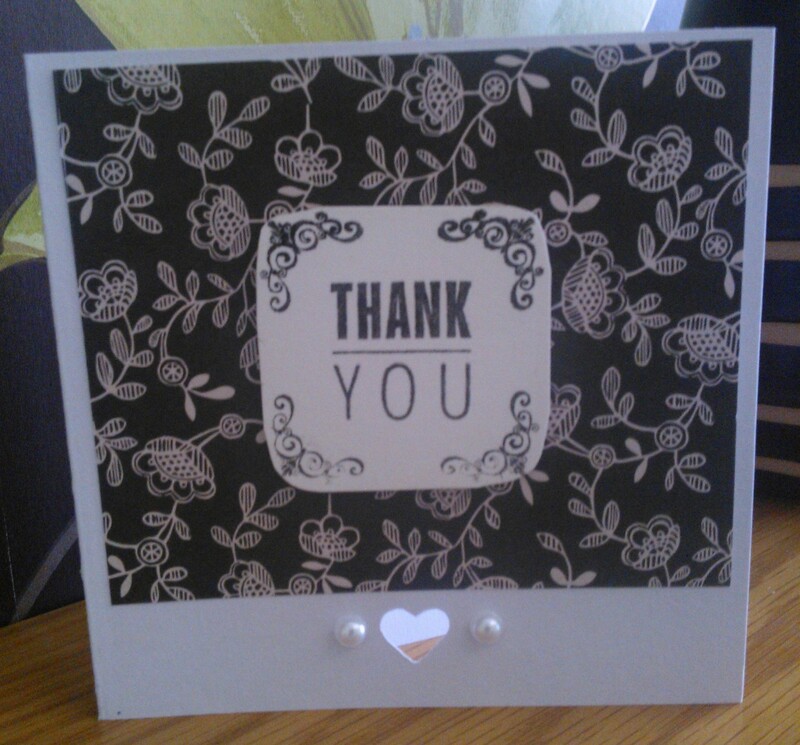 I used acetate to make a circle for the centre of the card and stuck a printed picture to it. 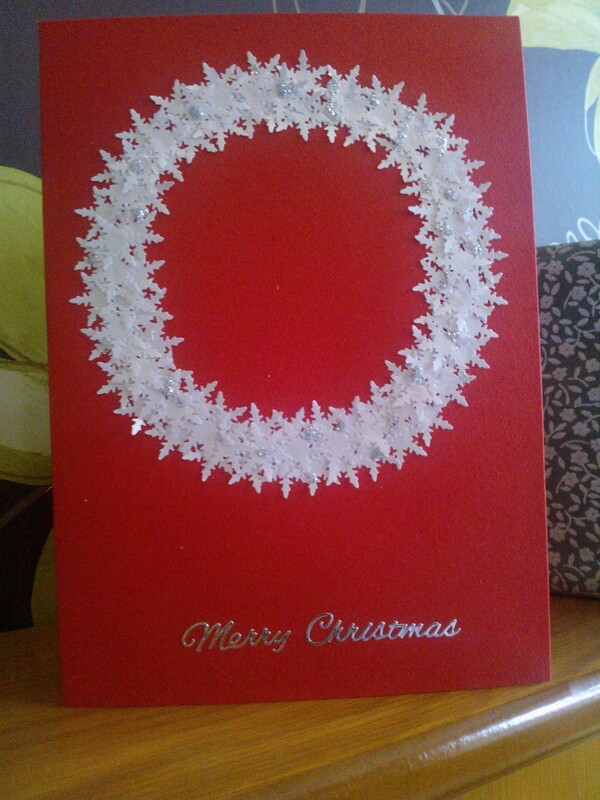 To get the snow flakes I just used silver glitter glue. 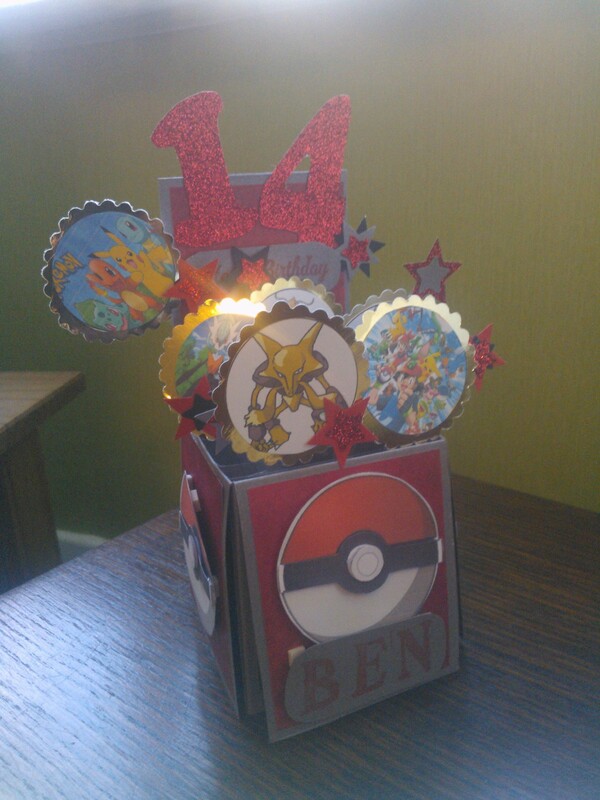 A bit fiddly in parts but it was worth it. 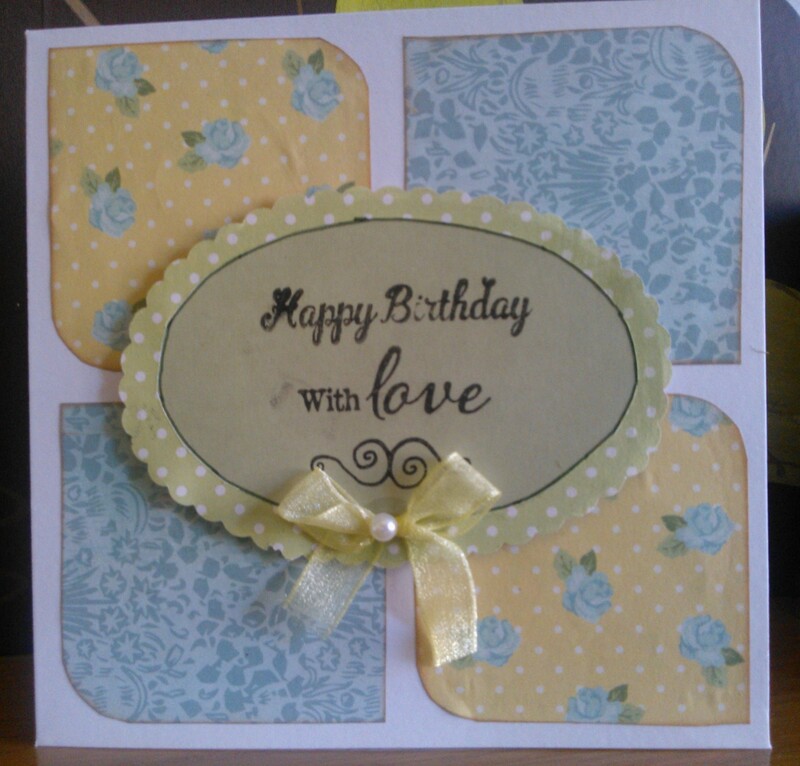 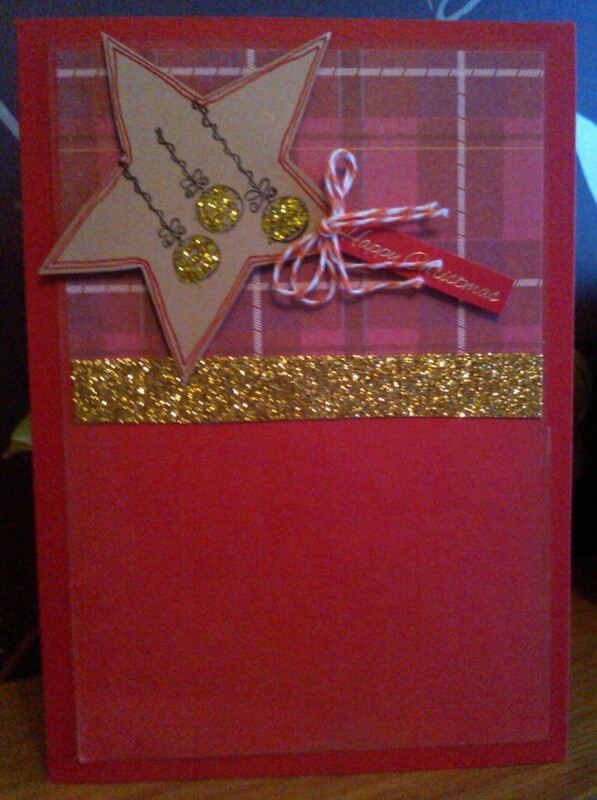 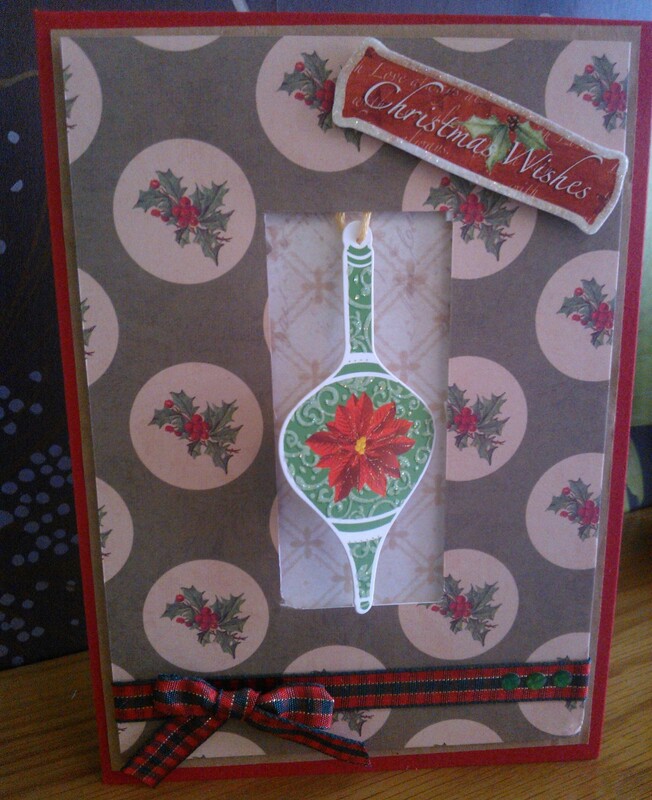 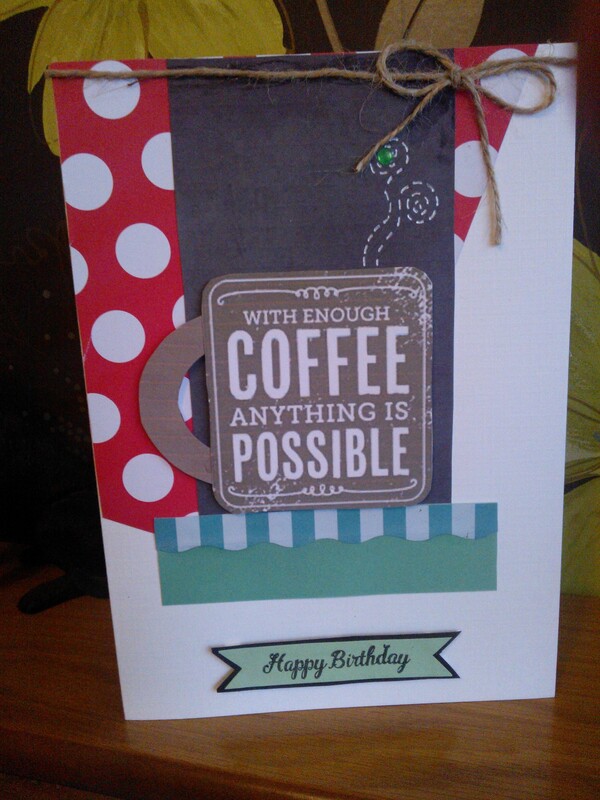 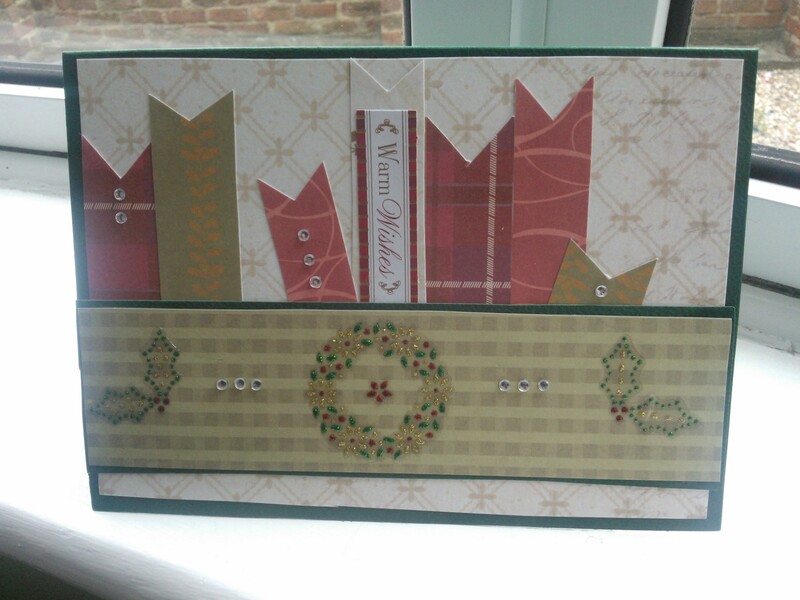 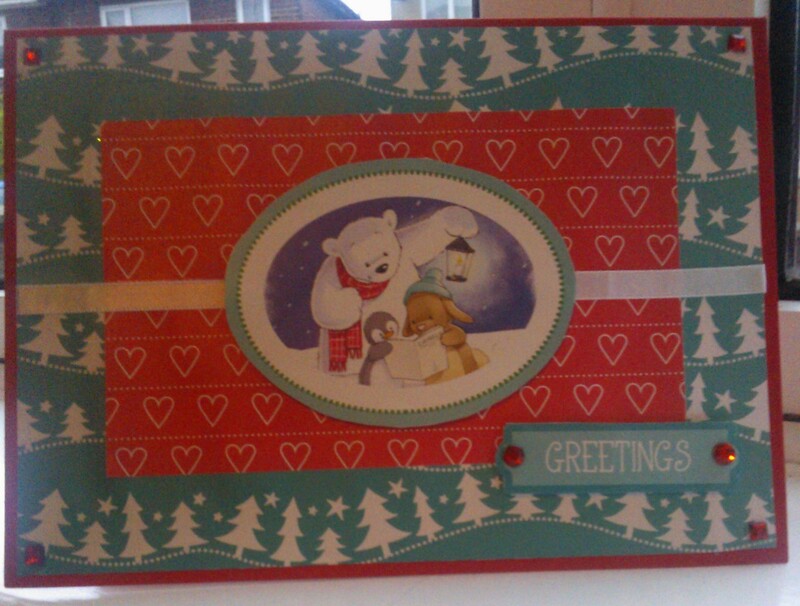 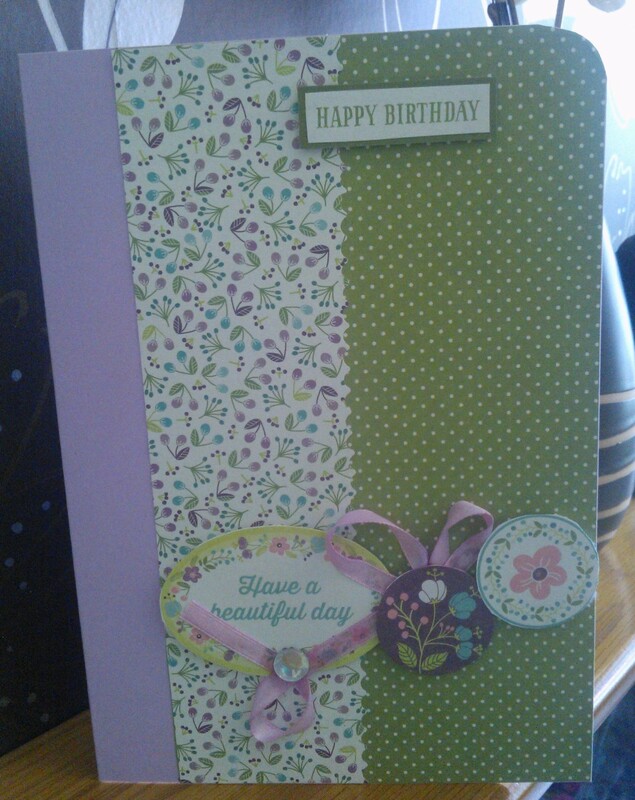 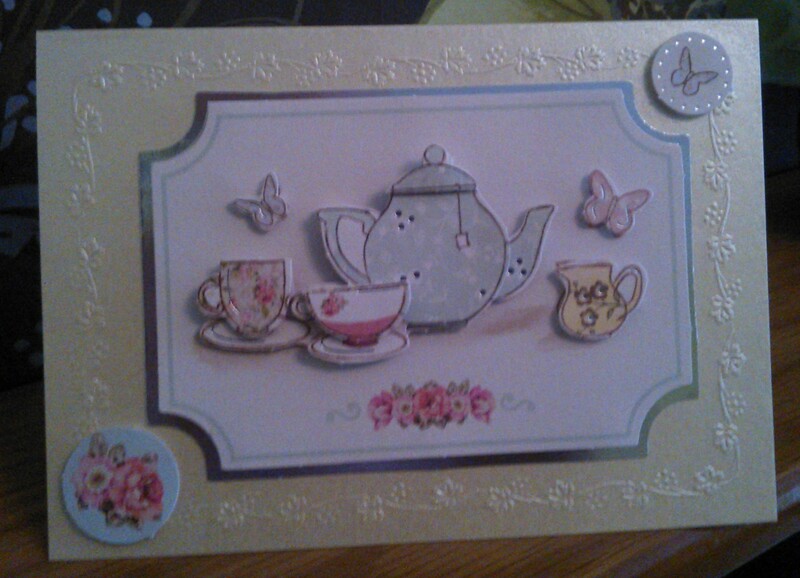 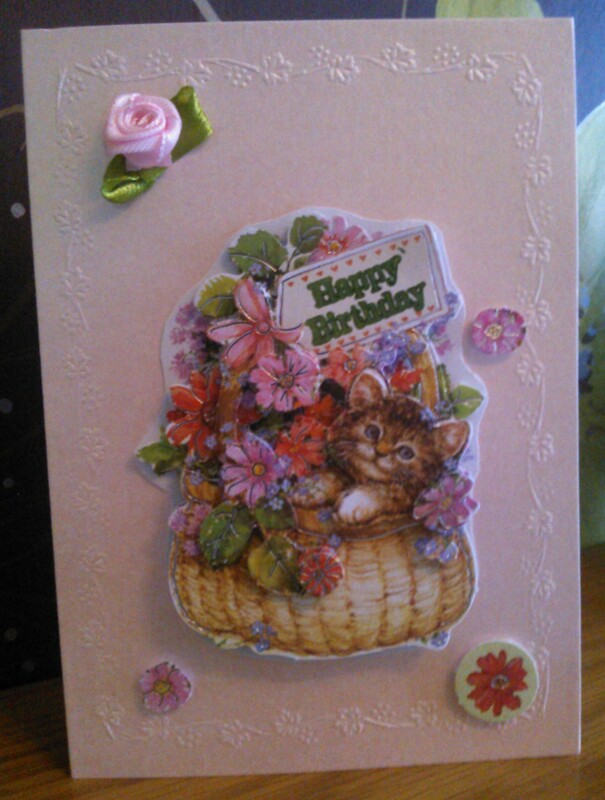 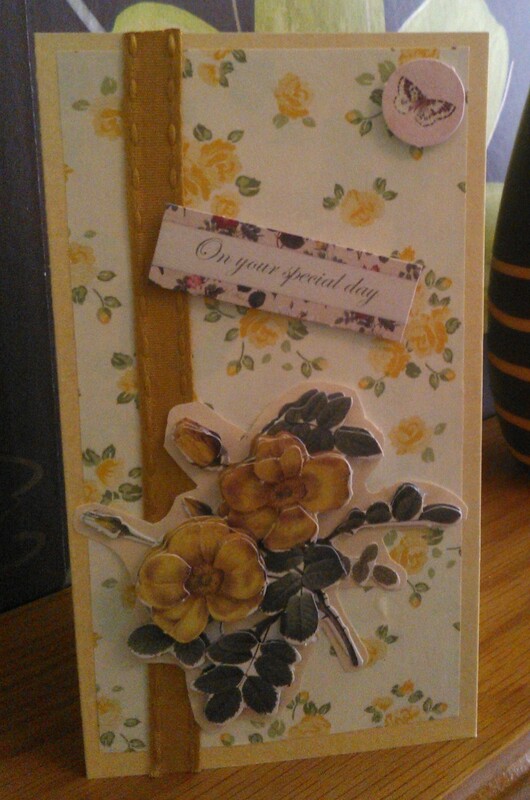 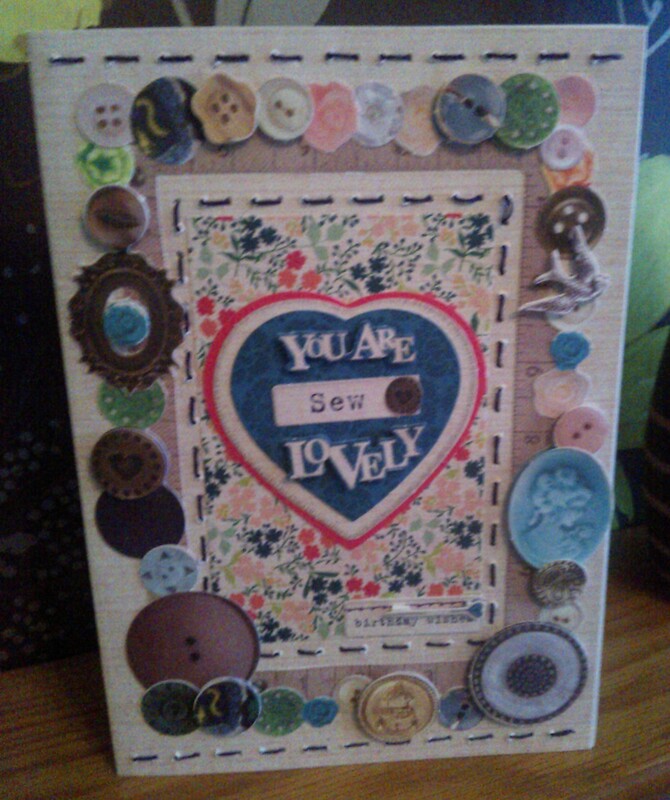 I saw this card in the Creativity magazine and used the free papers that came with the magazine. 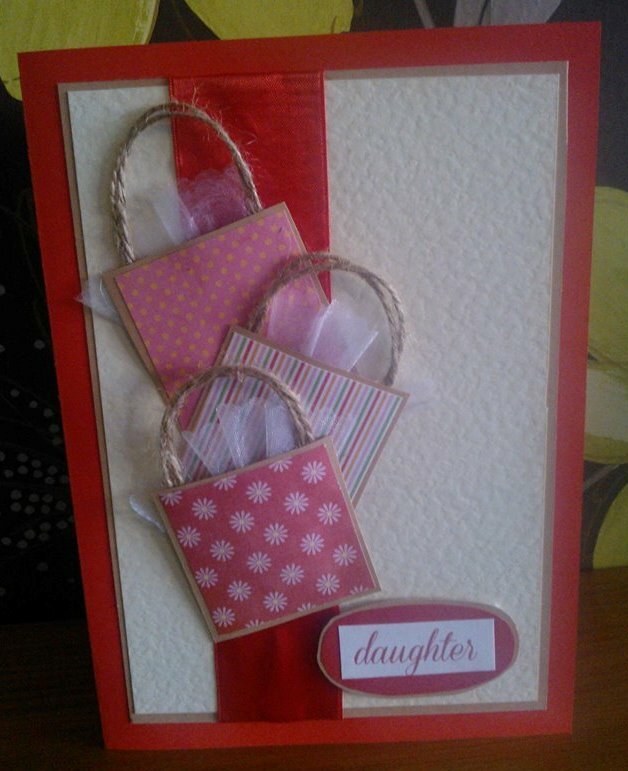 I saw this card online and as my friend’s daughter is a bit of a shop-a-holic, I really wanted to give it a go. 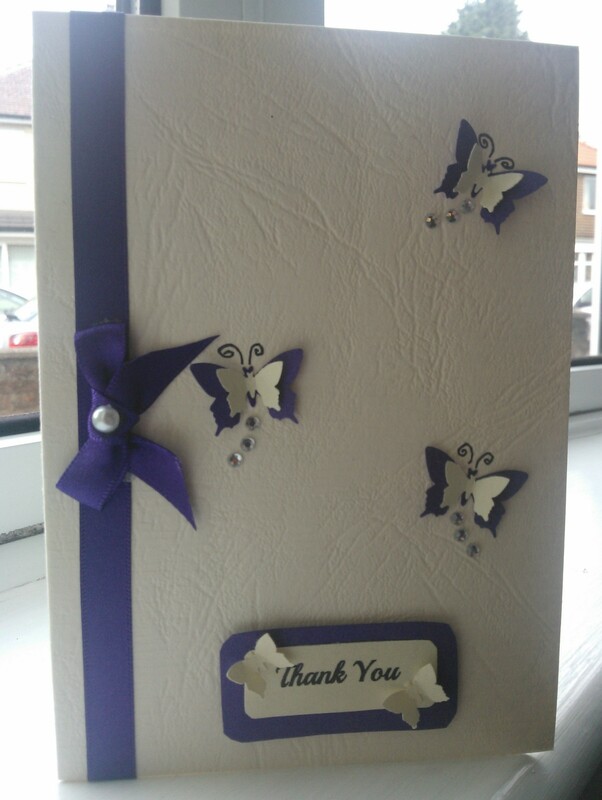 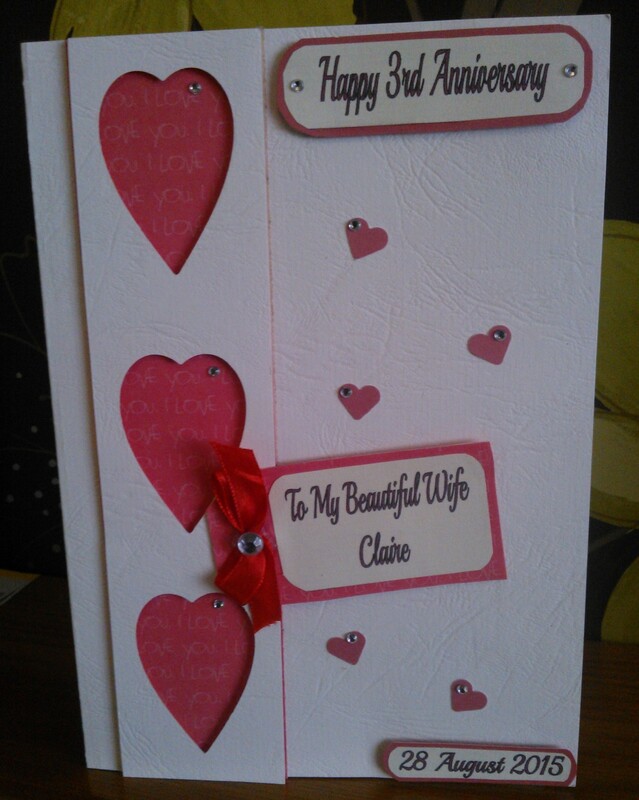 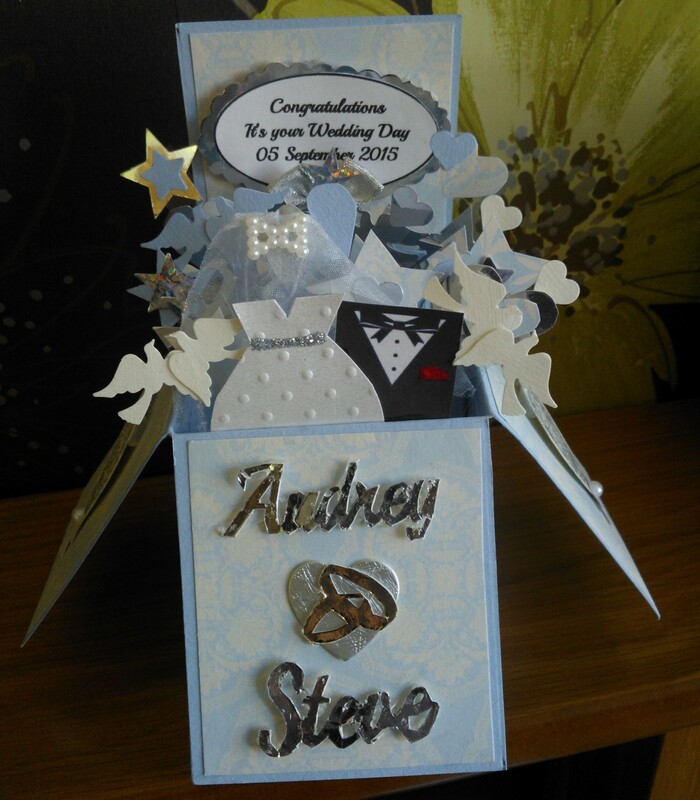 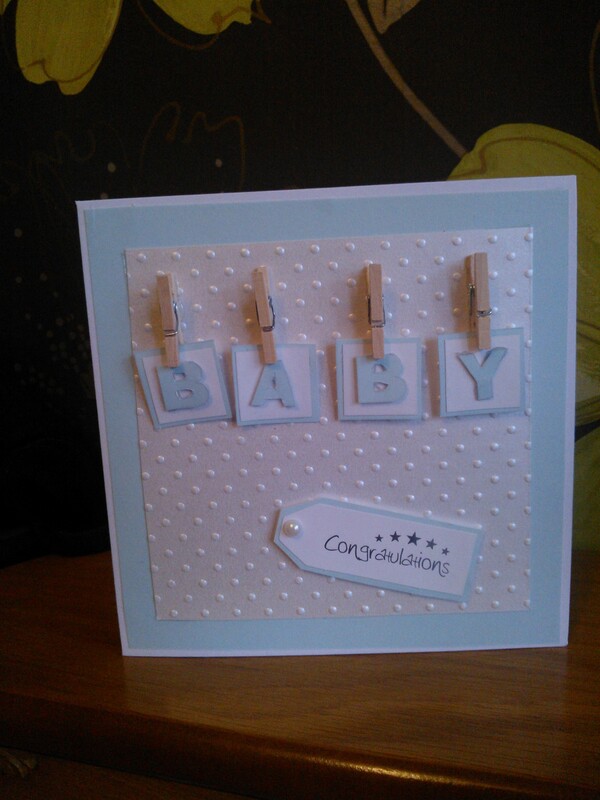 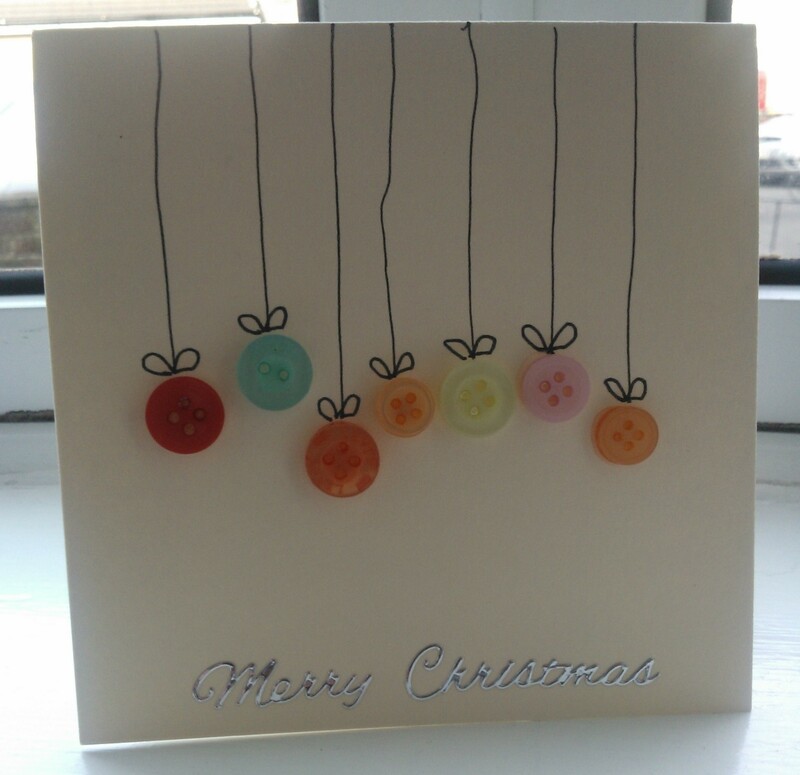 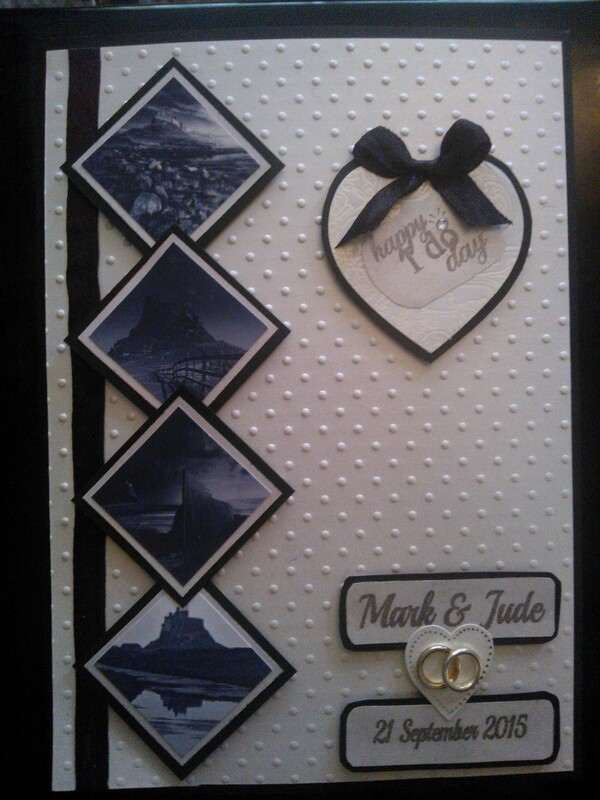 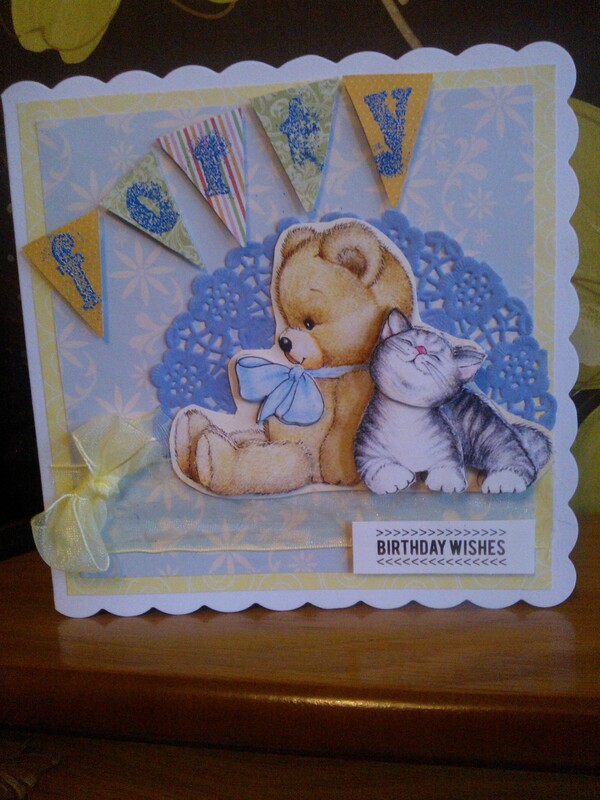 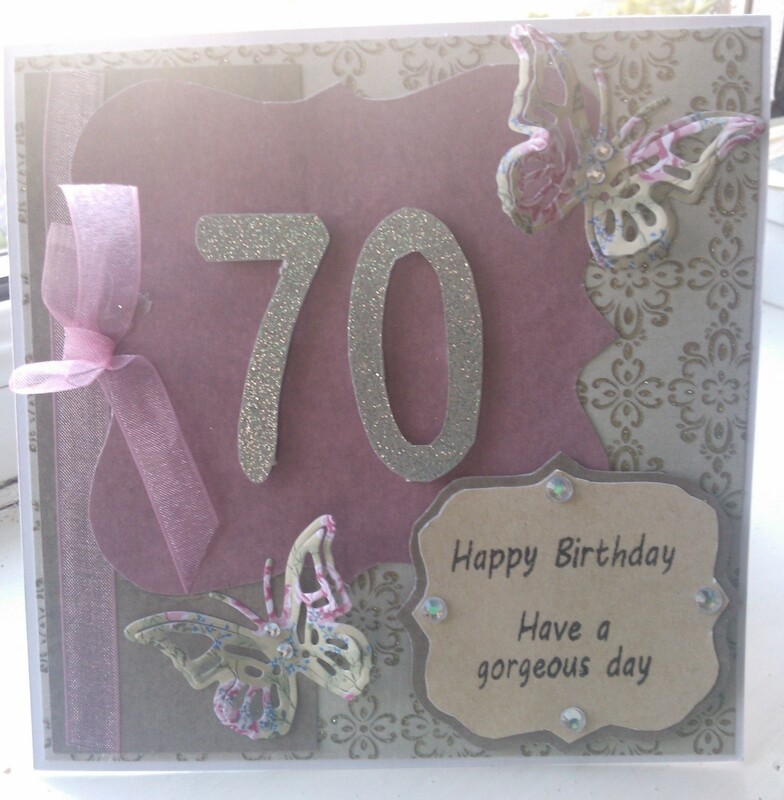 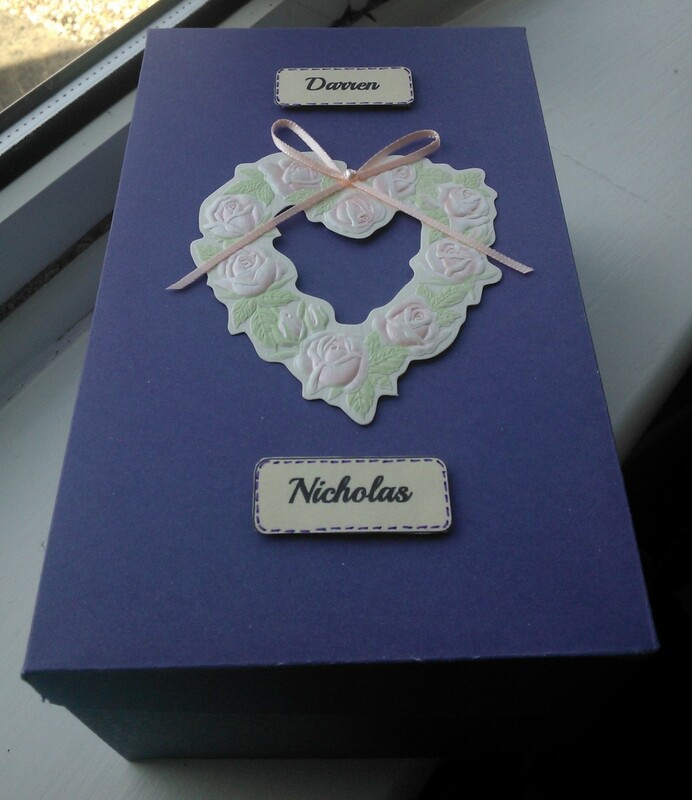 I love this card and I will definitely be making more in the future – again it’s one of those cards which can be customised to suit the recipients favourite colours. 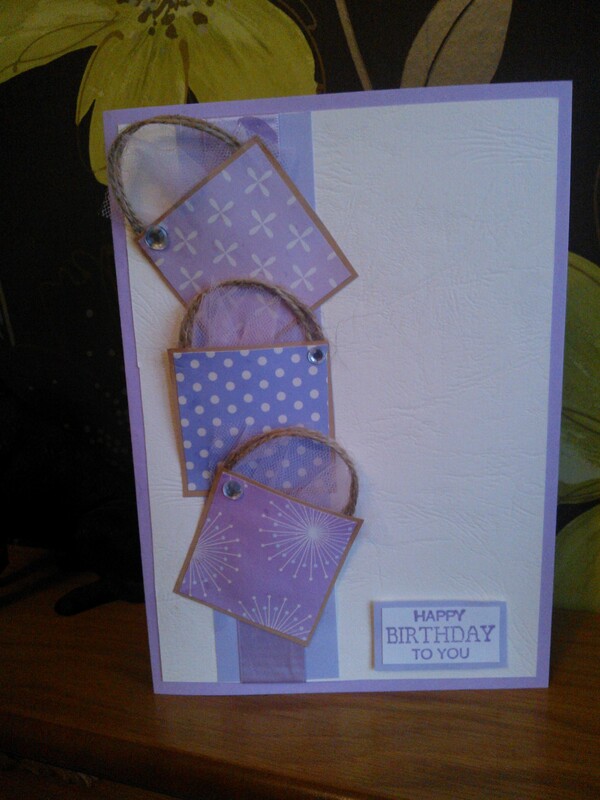 Feel free to take a look at other cards and crochet items I have made on my Facebook page Dawn’s Handmade Cards and Gifts. 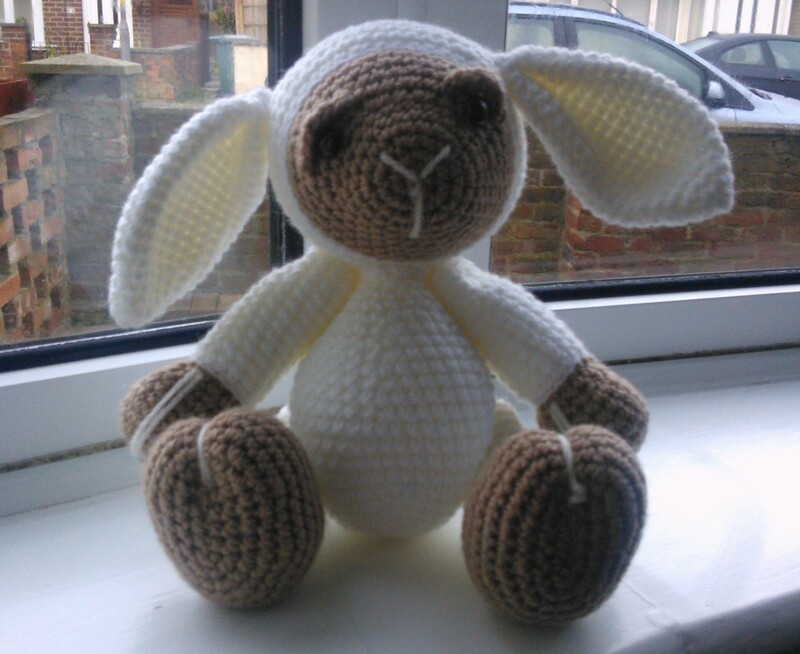 If you like what you see please share with your friends and family.